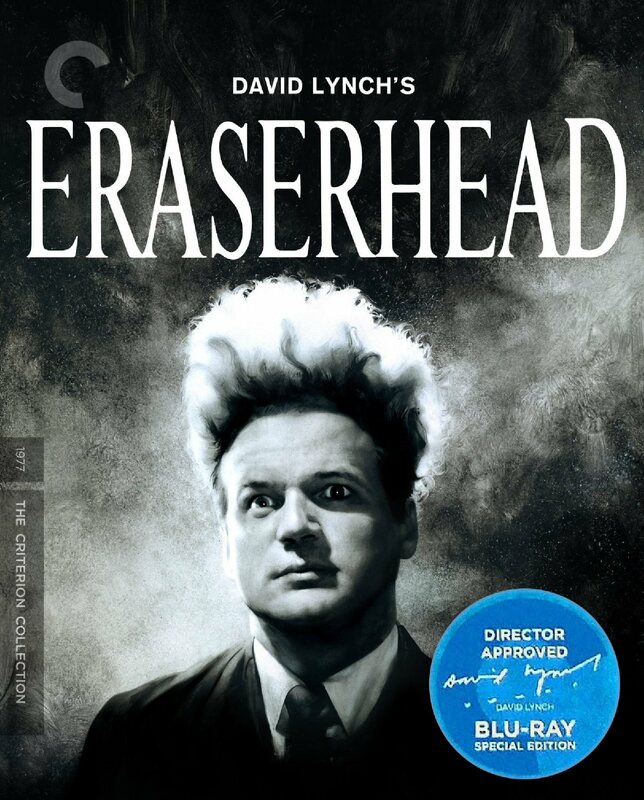 In 2003, David Lynch debuted the new restored edition of his first feature film, Eraserhead, and a special collection of his short films, on DVD exclusively through his website. 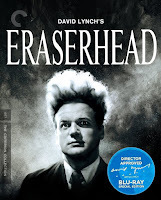 I believe the reason a 2003 special edition of Eraserhead wound up being called "Eraserhead 2000" is simply because Lynch delayed the project three additional years to perfect the transfer. Anyway, as you can see, they were sold in large, fancy boxes with oversized booklets, cards certifying authentication and packed neat red wrapping paper. They were pretty sweet, especially as Eraserhead had only previously been available as a fullscreen no frills import, and most of his shorts hadn't been available on disc at all. So it was a pretty big deal, and eventually the dam burst, and Absurdia released both editions broadly, sans the fancy, oversized packaging and booklets. Then Criterion released it all in HD and rendered it all obsolete. ...Unless there's something exclusive still on one of those DVDs? Let's have a look. 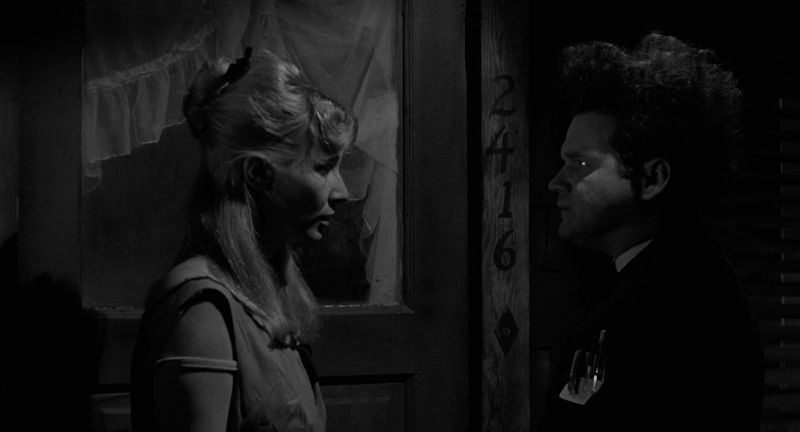 Eraserhead is still one of the most famous, flat out weird cult films of all time. 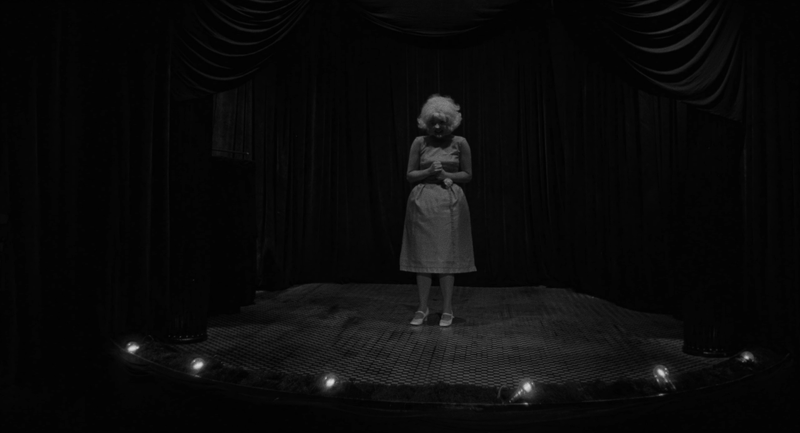 Even decades since Lynch has been nominated for three Oscars & seven Emmys and had the number one show in American television, Eraserhead will still leave most mainstream viewers backing away with their hands in the air. On the other hand, it's not nearly as impenetrable as its reputation might have us believe. In fact, if anything, it plays like a charming little domestic slice of life with its flights of creative fancy playing like sugar laced over the top to make the darker, more cynical aspects less bitter. 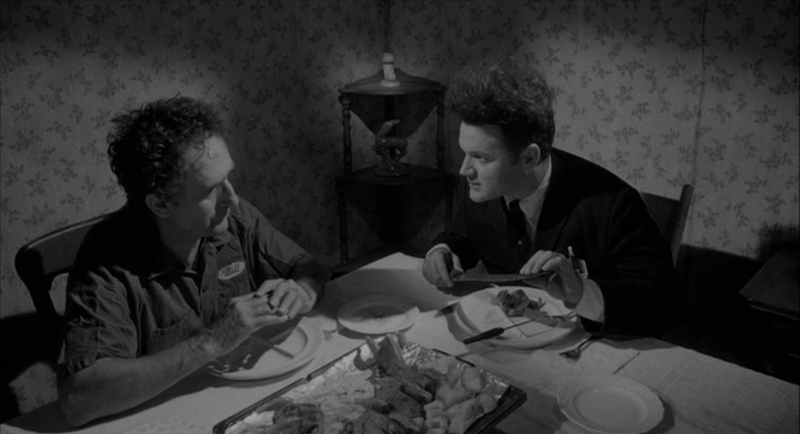 Jack Nance is nothing if not relatable as the young father pushing through the social awkwardness of meeting his new in-laws and surviving the unexpected, oppressive pressures of fatherhood. 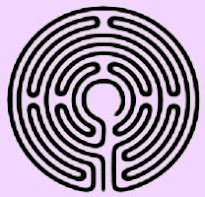 It doesn't ask your brain to puzzle anything out so much as your heart to empathize its meaning from. 2003 Absurda DVD top; 2005 Absurda DVD mid; 2014 Criterion blu bottom. 2005 Absurda DVD left; 2014 Criterion blu right. So again, yes the first two DVDs are identical. They're not just using the same transfer, but have the same features, menus, etc. They're the same discs. And at their core, they don't look too terribly different than the blu. They have identical 1.85:1 framing, but it isn't just a question of the same master being slapped onto a BD. First of all, the DVDs are decidedly more contrasty, with lighter lights. In fact, the whole image is brighter, with higher mids, too. I think they figured in HD, they could risk getting really subtle with the detail in shadows, and I have to say it looks pretty good. of course, it helps a lot that the image is so much more clearly resolved, with details coming to life as opposed to being swamped in soft artifacts like they are on the DVD. I mean, look at the valve handle on the far right of the close-up comparisons; you can't even tell it has holes on the DVD. Audio-wise, there's improvement, too. Lynch talked about the DVD having an uncompressed PCM track, but that doesn't seem to actually be the case? Awkward. It's still a solid Dolby stereo mix, but it's not quite what was promised. The blu-ray, on the other hand, has a lossless LPCM stereo track, plus English subtitles, another feature lacking on the DVD. And extras? Well, it's mainly one big one, but it's pretty great. 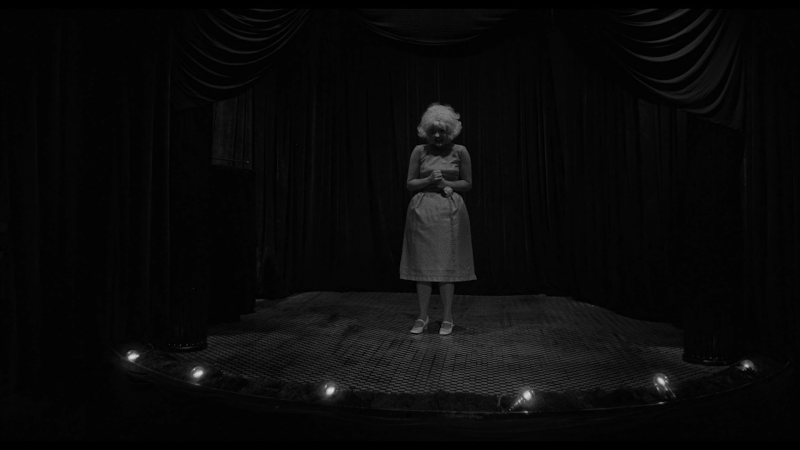 It's a feature-length monologue by Lynch detailing the history of the film. 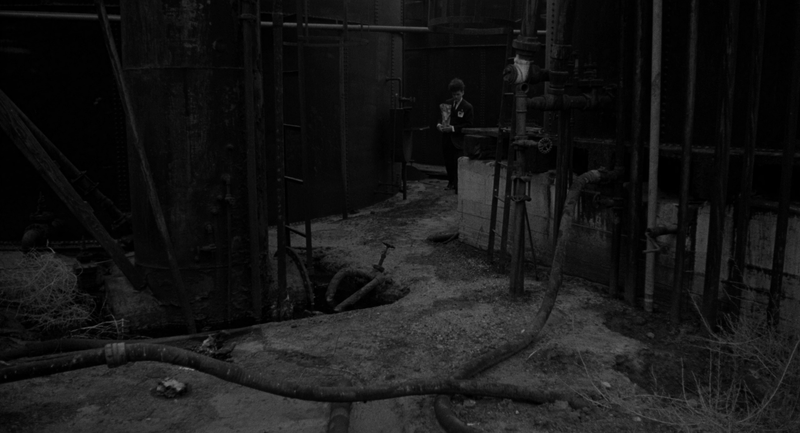 It's mostly one big, black and white close-up of Lynch talking into a microphone, though he does intercut behind-the-scenes photos and video footage, and even calls up Catherine Coulson on the phone and puts her on speaker at one point. Besides that, there's just the trailer, the booklet, the packaging aspects I already described and the menu loops a disturbing scene deleted from the final cut of the film. Considering we've always had nothing before-hand, though, it was pretty exciting and it's still pretty terrific to this day. Thankfully, Criterion carries all of that over (except the booklet and stuff), and adds some new features as well. There are a couple vintage interviews: one with Lynch and his cinematographer Frederick Elmes, another with Lynch and Nance visiting one of the film's locations, and a third where Lynch and several of his cast and crew reminisce for a good twenty minutes. Then there's a new featurette where Criterion edits together brand new interviews with Coulson, Elmes, and co-stars Charlotte Stewart and Judith Anna Roberts. There's a goofy vintage trailer that consists of Lynch sitting on a couch full of stuffed animals addressing the audience directly, and a booklet with a piece by the author of Lynch On Lynch. Plus, of course, there are the short films. 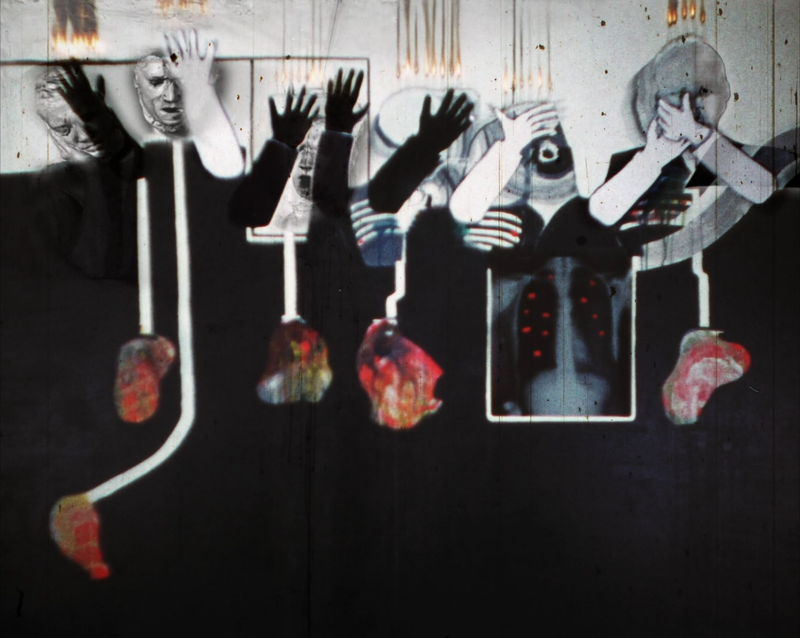 So The Short Films of David Lynch consists of six short films, from under a minute long to over half an hour, crazy little animations to dramas with recognizable actors. There's stuff he made as a student film, and stuff he made after Blue Velvet. Six short films, and there are six short films on the Criterion blu. So they're all here, right? Well, by now you should be well ahead of me. No, they're not. See, one of the short films is called The Amputee, and their are two versions of it. 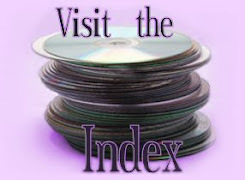 Both discs feature both versions. But on the DVD, both are treated as one film, and on the blu, they're listed like two. 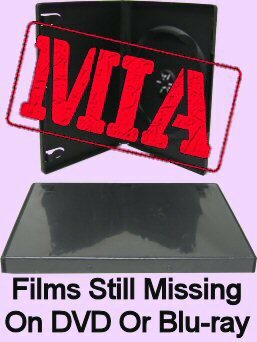 So, that means one film is missing from the blu. 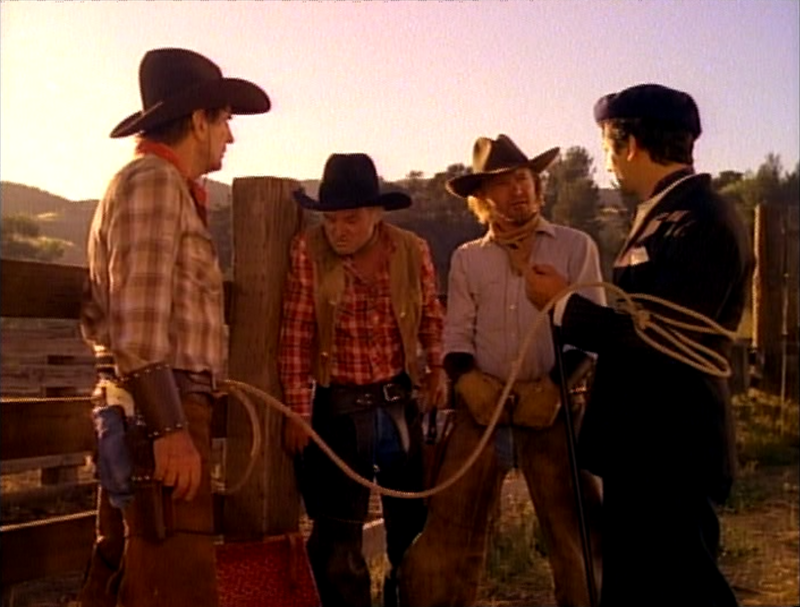 And it's a biggie: a roughly half-hour comedy starring Harry Dean Stanton called The Cowboy and the Frenchman. And that's not all that's different. So, both the Shorts DVD and the Criterion DVD feature extras of David Lynch talking about each short individually. Essentially mini-versions of what he did for Eraserhead. Well, naturally, if The Cowboy isn't on the Criterion, neither is its accompanying interview. There's also a couple of weird little easter eggs, which didn't make their way to the Criterion. Some of it's really minimal, like a promo image for an upcoming (at the time) Lynch album. DVDCompare mentions a hidden "short film" called Asymetrical, but it's clearly just a crazy animated logo for Asymetrical Productions. The most substantial easter egg is some vintage test footage of Coulson for the Amputee short(s). Nothing to cry over, but it would've been neat if Criterion stuck it on as an Easter Egg on their disc, too. 2003 Absurdia DVD top; 2014 Criterion blu bottom. Wow! What a difference. 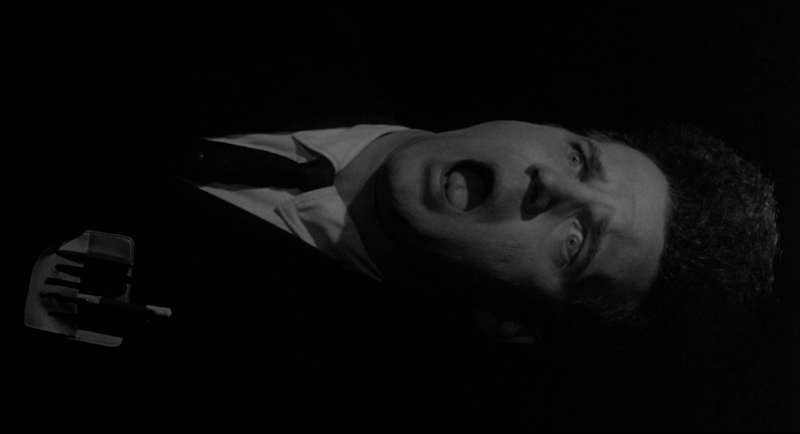 The improvements to Eraserhead were clear and welcome, but for some of these shorts, it's like night and day. 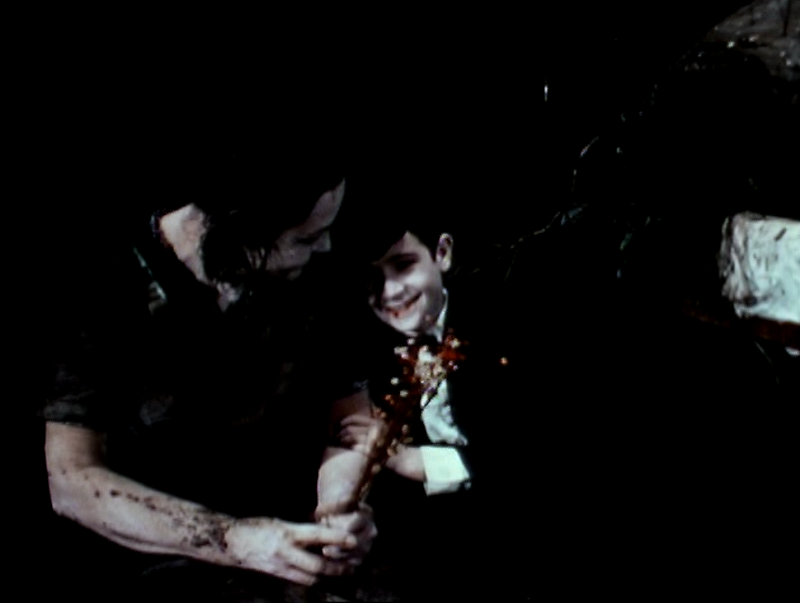 All six shorts are fullscreen, except Amputee (both parts), which is matted to (non-anamorphic) widescreen on the DVD, but shown open matte fullscreen on the blu. I'd be curious to ask Lynch which is actually correct (I feel like it might be the widescreen), but there's no question Criterion's transfers are major improvements in all the other ways. Sure, there are problems baked right into the sources of most of these - especially Amputee, where being shot in low-fi video is part of the aesthetic - but they look much better on the blu. 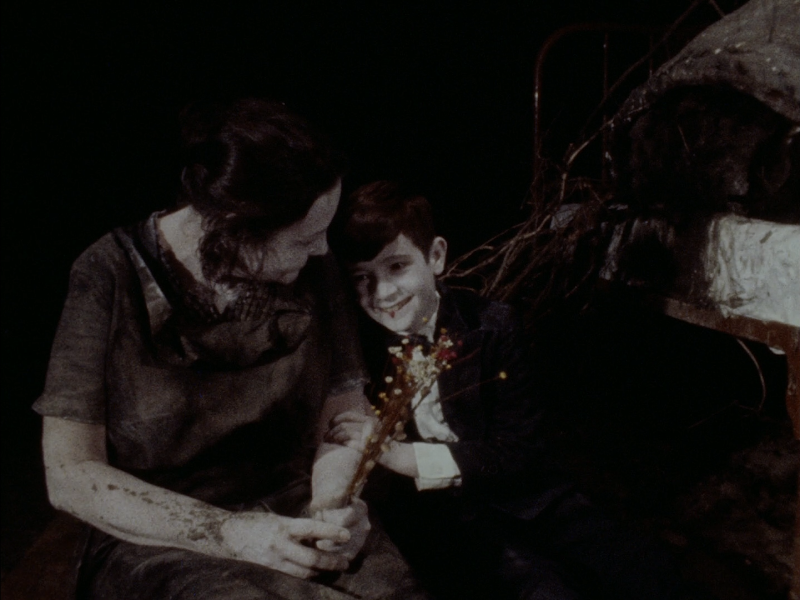 I mean, look how much image is saved from black crush on The Grandmother in the first set of shots. Not every short is improved quite so dramatically, but they all are to some degree. The Alphabet looks distinctly clearer and less under a video haze. 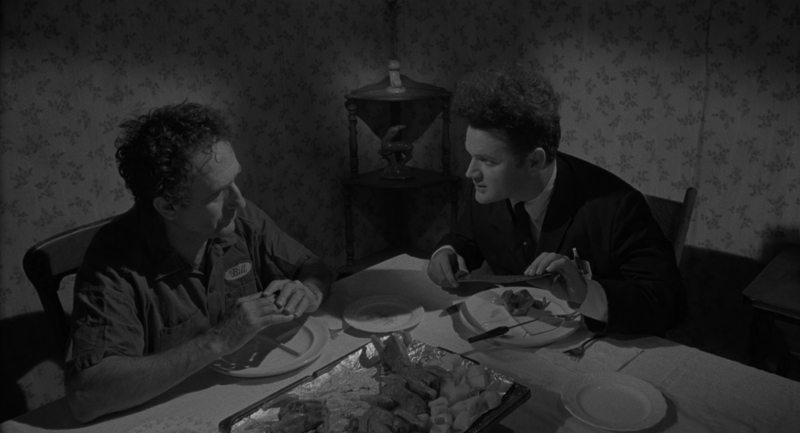 And all of the shorts are interlaced (thankfully Eraserhead wasn't, and neither are the interviews). So what are our conclusions here? 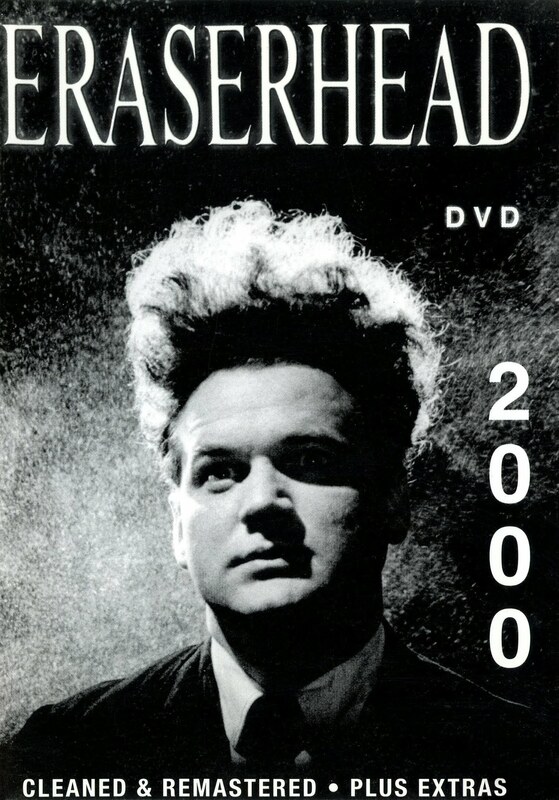 Well, the "Eraserhead 2000" DVD might be a neat collector's item for fans, particularly if you've got the big box edition with the book. But otherwise the Criterion blu-ray has topped it by a good margin, in terms of quality and special features, rendering it pretty obsolete, and making it a recommended upgraded. But it didn't do the same to that Short Films DVD. Some of the tidbits were small enough that it's fine to lose them (seriously, that Asymetrical is just a funky company logo! ), but The Cowboy and the Frenchman is a substantial film that serious fans would want even if it was released on a disc by itself. And the only other place it's available is that crazy rare Lime Green box set, which goes for a couple hundred dollars these days. So, you know, it's not essential for most viewers... we're not talking another Mulholland Dr here. It's actually part of a weird series of films where various filmmakers made films about France as seen through their eyes... Werner Herzog did one, some other notable people did. It would be great if they could be released all together on a single blu. But I wouldn't hold my breath. So hang onto your shorts!